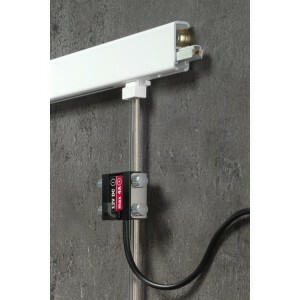 STAS hanging systems and accessories for wall mounting, equipped with 12 volt power supply wires. Create the longest wall socket in existence in your home, office or other space. View the complete range of STAS products with lighting. A STAS multirail system is a picture hanging system and artwork lighting rolled into one. Inside the rail, 12 V wiring (low voltage) has been integrated. Various matching light fixtures can then be clicked into the rail at any position you choose, accentuating your wall decorations with LED or halogen lamps. 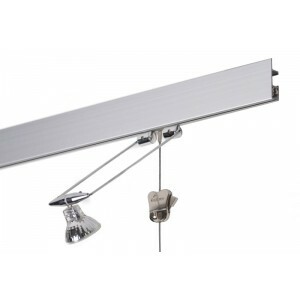 In combination with LED lighting, the STAS multirail is very energy efficient. A STAS multirail system is a picture hanging system and artwork lighting rolled into one. Inside the rail, 12 V wiring (low voltage) has been integrated. Various matching light fixtures can then be clicked into the rail at any position you choose, to accentuate your wall decorations with LED or halogen lamps. The STAS multirail max distinguishes itself thanks to the extra rim that ensures a tight fit against flat ceiling surfaces. With this system, your ceiling, wall and picture hanging system unite as one. Cables can be hidden behind the rim. For the best result, you can neatly finish the transition between the STAS multirail max and the ceiling by applying an (acrylic) sealant. The STAS armatures are available in different designs. 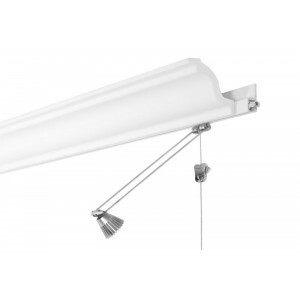 The ‘sirius’ light fitting has lengths of 40, 50 and 65 cm. 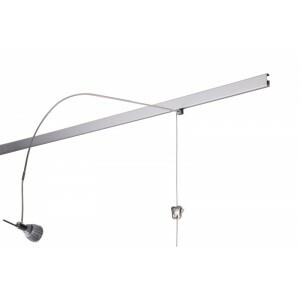 The ‘signo’ light fitting is curved and has a length of 70 cm. 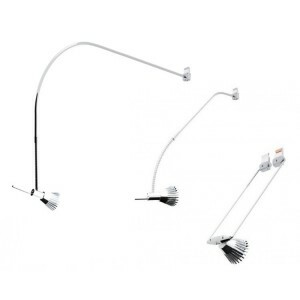 The STAS ‘classic’ lighting fixture is available in chrome as well as in white and in lengths of 50 and 70 cm. You can easily click all STAS light fittings anywhere you like on the rail, to spotlight your wall decorations with STAS LED or halogen lamps. A STAS multirail system is a picture hanging system and artwork lighting rolled into one. Inside the rail, 12 V wiring (low voltage) has been integrated. Various matching light fixtures can then be clicked into the rail at any position you choose, to accentuate your wall decorations with LED or halogen lamps. STAS multirail crown is a picture hanging system that is mounted virtually invisibly on the wall and can be combined with a moulding of your choice. 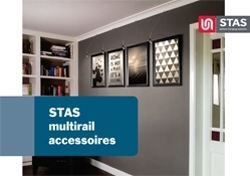 A STAS multirail system is a picture hanging system and artwork lighting rolled into one. Inside the rail, 12 V wiring (low voltage) has been integrated. Various matching light fixtures can then be clicked into the rail at any position you choose, to accentuate your wall decorations with LED or halogen lamps. STAS multirail flat is a ceiling-mounted picture hanging system that can be virtually invisibly integrated with stucco work or with a single or double flat moulding. 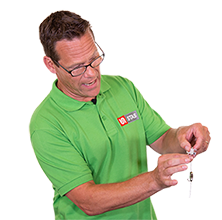 It is even possible to glue the rail to a plaster, timber or foam moulding or to a timber ceiling. A STAS multirail system is a picture hanging system and artwork lighting rolled into one. Inside the rail, 12 V wiring (low voltage) has been integrated. Various matching light fixtures can then be clicked into the rail at any position you choose, to accentuate your wall decorations with LED or halogen lighting. 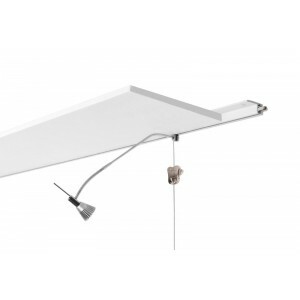 STAS u-rail multi is purpose-designed for suspended ceilings. The rail is easily and almost invisibly attached to the supporting edge trim of the suspended ceiling. STAS u-rail multi also offers a perfect solution for hanging whiteboards, billboards or large maps. The STAS powerline 12V is a unique and attractive suspension system for the multirail that is equipped with two integrated 12V cables. 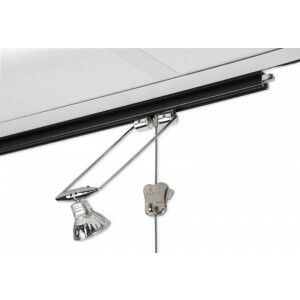 STAS multirail systems are picture rails with integrated 12 V power supply wires (low voltage). Thanks to these wires, it is possible to click a light fixture into the rail at any spot to illuminate your wall decor.